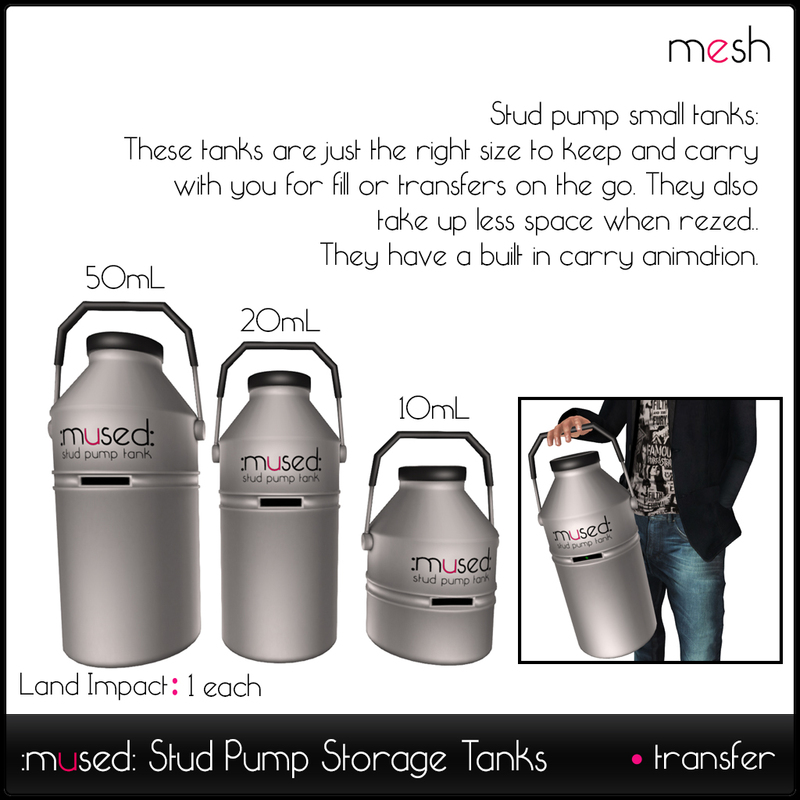 We have added a few new Stud Pump attachments for you to use! You just need to attach your existing :mused: Stud Pump Attachment HUD or go to the demo Rez tables in the Main Store to select these new options. Second VSX Feline Classic in a less erect state to be added soon. We have also posted the details for the up coming Dharma changes on the main website, you can read the post about it here. So take a look! These changes will be going live in a few weeks so keep an eye out further announcements concerning it. New ways to display and view your badges! A simple compact HUD can be picked up at the :mused: store for viewing your badges and achievements. This HUD is completely optional. 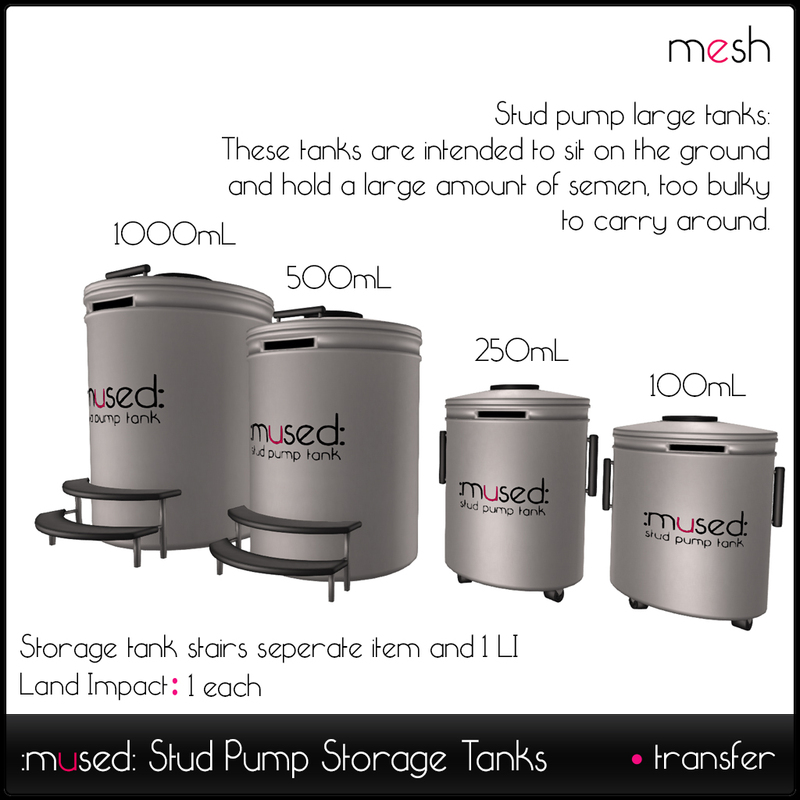 If you are a :mused: Stud Pump user this is already included in your system HUD. This allows users who do not have the Stud Pump system to keep track of their current achievements and badges in consumption and storage. In addition, we also now have something special for you to show off your badges to the world. There are 3 styles of :mused: Merit Badges to show off and flaunt your advancements! Simply click on the merit badge to choose which of your personal badges to display. Stop by :mused: and be one of the first to grab yours today! Filed under: New Releases, News, Stud pump | Tagged: achievements, badges, new release, stud pump |	Comments Off on New ways to display and view your badges! We are now less than a week away from the release of the Stud Pump into open beta on Nov 1st. To celebrate its launch we are going to have an hour long Do it Like a Dude Release party! 10 am -11 am HolyMary Loudwater is going to be DJing some rocking songs about penises and our fascination with them. We hope to see everyone there Doing it like a Dude! That night at 4pm we will be having our Halloween party. I hope to see you there!